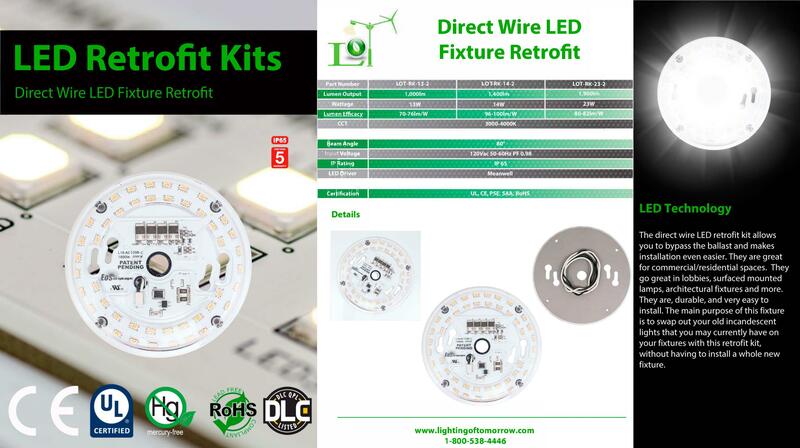 The direct wire LED retrofit kit allows you to bypass the ballast and makes installation even easier. They are great for commercial/residential spaces. They go great in lobbies, surfaced mounted lamps, architectural fixtures and more. They are, durable, and very easy to install. The main purpose of this fixture is to swap out your old incandescent lights that you may currently have on your fixtures with this retrofit kit, without having to install a whole new fixture.